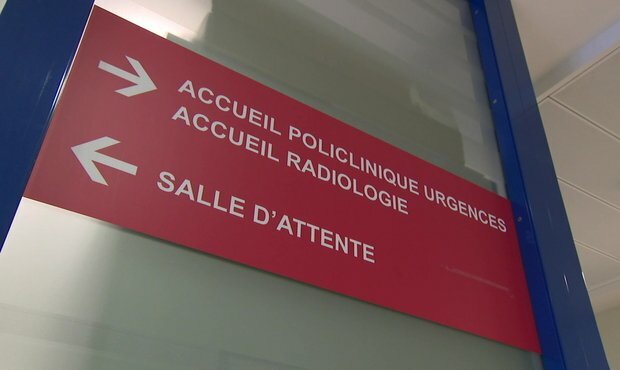 The average hospital emergency room patient needs to wait between 40 and 90 minutes before receiving treatment in a Luxembourgish hospital. This number is based on average waiting times across Luxembourg's hospitals, Health Minister Etienne Schneider confirmed in his reply to a parliamentary question. MPs Gast Gibéryen and Marc Goergen had enquired about the efficiency of national emergency rooms following the closure of the overnight emergency room at Niederkorn hospital. In his reply, Schneider explained that emergency rooms are always operational in four different hospitals across Luxembourg: CHL in Luxembourg City and on Kirchberg, CHEM in Esch-sur-Alzette and, last but not least, Ettelbruck hospital in the north of the country. Luxembourg's emergency services will routinely transport high-risk patients to one of these four hospitals. However, this does not mean that other hospitals (like Niederkorn, Wiltz, Dudelange and Zithaklinik in Luxembourg City) will refuse patients without appointment, Schneider stressed. Emergency rooms at these smaller hospitals are merely closed between 9pm and 7am. Schneider underlined that emergency rooms at small hospitals had always been poorly frequented at night. In 2018, merely 77 patients were transported to Niederkorn hospital at night. Only 8 patients were rushed to Wiltz's hospital and Zithaklinik at night - starkly contrasting the 90,000 patients treated in CHEM's emergency rooms. Schneider maintained that he would do everything in his power to guarantee efficient and accessible health care.